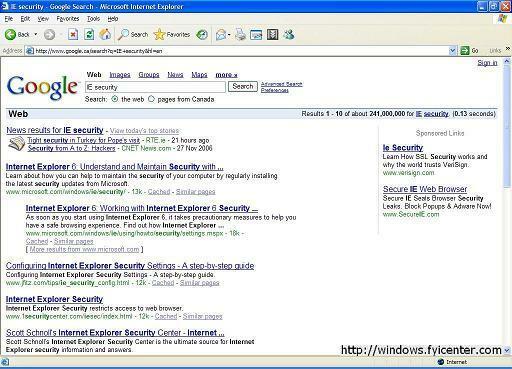 Who is providing advertisements to the IE search hijacker? When you click the search result infected by the IE search hijacker, sometimes you will see an intermediate redirecting page as shown below: . 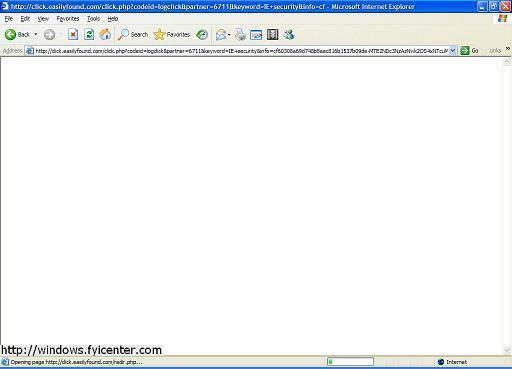 Looking at the URL of this page, you know who is providing the advertisements to the hijacker: click.easilyfound.com.